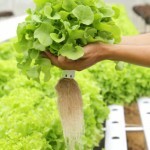 A Hydroponic Home Garden is the most easily acceptable and convenient way of gardening. In this form of gardening soil is not used. Instead of soil, the plants are feed by salt and minerals through water. Once the preliminary things for the gardening are acquired the outcome is very pleasing and satisfactory. 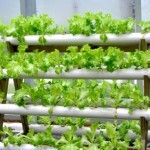 Following easy and simple steps will elaborate the method to set up an ideal hydroponic home garden. The very first step to develop a hydroponic home garden is to go for the basic items that are required for the gardening. Most of the things will be around you so don’t go to buy all the material that will cost you more. Focus on the material that will be required now and avoid going for the things which will be required in future. 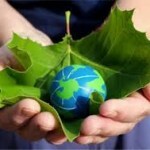 So, selection of items has to be specific and will be related to your immediate gardening needs. The area for this type of hydroponic home garden can be either built by the gardener himself in the form of a greenhouse or he can buy ready to install grow room from the market. Now, if you are the beginner you can get one grow room which is normally larger than a closet and very easy and convenient to install. Moreover building a greenhouse is somewhat more expensive than installing a grow room as before building a greenhouse you have to spend some money on its cement or gravel flooring and on developing a proper drainage system. After you have decided your suitable area for your hydroponic home garden area, the next task for you is to get all the necessary hydroponic supplies that you will need while starting your gardening. Whether you choose to build a green house or install a grow room, in both the cases there are some basic supplies that you need to keep with you. Some of these very much essential hydroponic items include an exhaust fan, a temperature control unit, light fixtures, healing mats, an aeration system, beginning mediums like marble, pearlite, Styrofoam, and beginning tables for plants like plastic tubs, fish tank etc. You can either gather all these basic items from your house or you may also visit any hydroponic store and purchase whichever item you need instantly. One of the most essential steps while setting a hydroponic home garden is to pick up the right hydro system that best suits your gardening needs. Before selecting the right system you need to consider some of the factors that include the required space, plants you want to grow, cost and time you can give for the system maintenance. 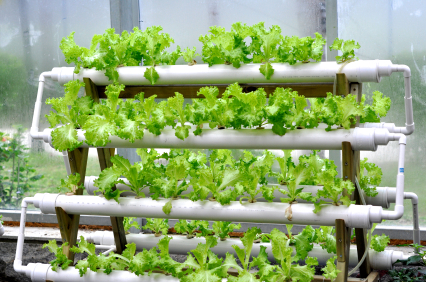 Most commonly there are three main hydro systems that are recommended for hydroponic home garden. These are the Wick System, Water Culture System and Ebb and Flow System. Each of these systems are easily available in any hydroponic store and also online. Being a beginner you should start with small plants like herbs and vegetables as they not only grow quickly but also needs little maintenance and nutrient supply. You do not want to be put off with a too complicated hydroponic home garden just staring out! Most of the beginning gardeners prefer to grow tomato and rose plants as they get a wide variety to choose from. Fast growing plants helps you in assessing the function ability of your system and you can modify it accordingly. Hence, remember to choose fast growing and maintenance free plants for the first time as they help you to know about your system in a better way. Once successful with the small plants you are ready to try out other complex veggies in your home hydroponic garden. Apart from this also be careful about the number of plants you want to grow in your garden. More plants means high temperature. As such, it is very essential to set a temperature control unit to turn blowers and fans on and off at regular intervals. Once you successfully begin your gardening and start getting positive results, try out something new and modern for making your garden better. Change your earlier irrigation and drainage system and go for advanced ones. Try to plant more complex and number of varieties of plants in your garden. Remember, the more you try to plant new breeds, the more advanced equipments you will require and that will help to improve your garden and make it better with every new step. So, nature lovers can now relax and enjoy the beauty of nature in their home within a limited space without any hassle of traditional gardening. 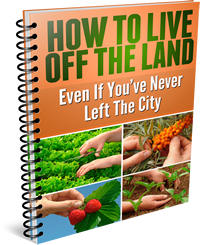 If you follow the above stated steps you can have a full fledged garden within your home premises at a minimum investment from which you can also earn a substantial amount if desired. Most of all, a hydroponic home garden offers a soothing green environment that will give you a healthy body and strong heart.